Leatherman have just released details of their new range of keychain multi-tools the Leatherman Style & Style CS that will be available to buy in stores mid May. The Leatherman Style ( pictured right below) has five tools: knife, scissors, nail-file, screwdriver (flat & Philips) and tweezers all bundled into the small keychain which will be priced at $20. 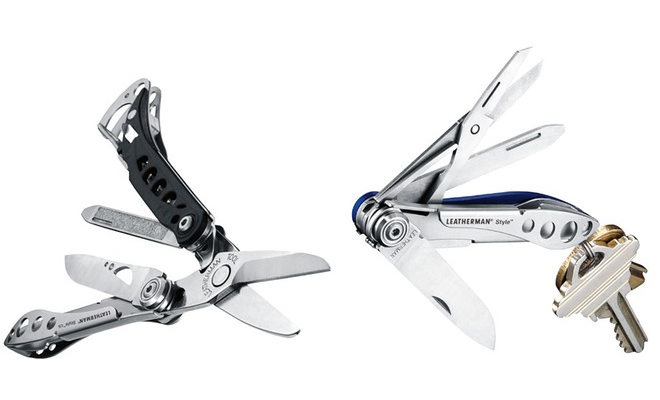 Its larger brother the Leatherman Style CS is three inches long and is similar to the existing Skeletool-lite with spring-action scissors, a file, knife, tweezers, bottle opener and mini-screwdriver (flat & Philips). It weighs just 41.1g and has a clip at one end for easy attachment to a pack or belt.